IfE’s Directors are elected by the Advisors, and are charged with protecting IfE’s legal and financial well-being. Deborah grew up in a multilingual academic family, living on four continents and establishing ties to a broad array of cultures. By the time she was 18, she had witnessed first-hand apartheid South Africa and Bantustans, the Angolan war zone, anti-American riots in Ghana, violence in inner-city St. Louis, and Lakota culture and reservation life in South Dakota. Because of this early experience, Deborah committed herself to working against inequalities and for indigenous rights and empowerment over the years. She worked with the Black Hills Alliance, the Center for Alternative Mining Development Policy (Wisconsin tribes), the Cowboy & Indian Alliance, Women of All Red Nations, the Mni Wiconi water project, and the Standing Rock Sioux Tribe (writing their original water quality regulations). She reported for the Lakota Journal, directed the Walking Forward Lakota health disparities project, and taught at Oglala Lakota College on the Pine Ridge Reservation. Deborah has also followed the situation of the Indigenous (Batwa and Bambuti) forest peoples of the African Great Lakes region since the late 1990s, and has been working to support these Indigenous groups and their allies in this region since late 2015. With a Master’s degree in ecology from the University of Wisconsin-Madison, in 1980 Deborah founded and directed the non-profit Technical Information Project, providing public interest research, grassroots political organizing and strategic legal interventions on behalf of groups attempting to protect their communities and environment from exploitative mining and water development on the Northern Plains (US). In this capacity, she developed a range of public organizing, political, media relations, and 501(c)(3) management and fund-raising skills that allowed her organization to significantly influence the public discourse and outcome of events in a provincial and often hostile environment. After shifting her primary focus from environmental policy to social issues, Deborah taught at a tribal college on the Pine Ridge Indian Reservation, contrasting traditional Lakota cultural perspectives with Western scientific views in every lesson. She then helped set up and run a multi-million dollar health disparities research project serving three Lakota reservations in South Dakota. This project, the first such large inter-ethnic collaboration in South Dakota history, required extensive cross-cultural dialogue, focus group input, language translation, and formal tribal review of project concepts. Meanwhile, in the aftermath of the September 11, 2001, attacks in the US, she founded and co-chaired a local intercultural group in western South Dakota which presented a series of popular forums on the shared history and values of Islamic, Jewish and Christian ethnic groups, successfully forestalling any threats of individual violence in the region. Deborah’s doctoral research at Stanford University (2005-2010) focused on cultural change, and particularly the spread of socioeconomic inequality as hierarchical societies displaced Indigenous societies. Her research findings have been published in PNAS (Proceedings of the National Academy of Sciences), Proc-B (Proceedings of the Royal Society-B), and PLoS ONE (Public Library of Science), garnering review comments including “one of the most significant papers to be written in anthropology in the last 20 years” (Nina Jablonski). Her study on cultural change was chosen as one of the “100 top science stories of 2008” by Discover Magazine. While at Stanford, she was also active in the Stanford Labor Action Coalition and the Stanford Immigrant Rights Coalition. Several decades of experience and research led Deborah to identify socioeconomic inequality as one of the primary factors underlying our current unsustainable human trajectory. After obtaining her PhD, she worked for the UN in Bonn for one year, and then founded Initiative for Equality, a global network of activists working on issues related to social, economic and political inequality. Her unusually broad background provides a significant advantage in taking on this complex and interdisciplinary issue. Deborah is equally comfortable doing cutting-edge research, going on the lecture circuit, or engaging in grassroots organizing. She devotes her lifetime of knowledge, experience and commitment to promoting the shift towards socioeconomic equality and sustainability in human society. Deborah is a non-voting Ex Officio member of the IfE Board of Directors. Roberto Guimarães (Brazil) holds a B.A. in Public Administration, and an M.A. and Ph.D. in Political Science. He is currently Visiting Professor at the Doctoral Program on Environment and Society, State University of Campinas in São Paulo, and Principal Investigator in Research Dimension III: Socio-Ecological Dimensions of DesiguALdades.net, an international network working on interdependent inequalities worldwide. He previously served as Chair and Vice-Chair of the Scientific Committee of the International Human Dimensions Programme on Global Environmental Change (IHDP), sponsored by the International Social Sciences Council and the International Council of Scientific Unions of UNESCO. Between 1983 and 2006, Roberto was a staff member of the United Nations, serving at the Economic Commission for Latin America and the Caribbean in Santiago, Chile. His last position before returning to Brazil in 2007 was Chief of Social and Policy Analysis at the UN Headquarters in New York. He also served as Technical Coordinator of several UN international conferences on the environment, including Rio ‘92, Rio+5, and Johannesburg 2002. 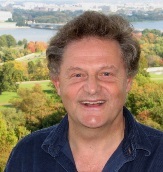 He has authored over 200 publications in 20 countries on political development and the formulation of social and environmental policies, including The Ecopolitics of Development in The Third World (winner of international awards, including best book published in 1991 on International Environmental Politics, and Outstanding Academic Book of 1991), and The Inequality Predicament (submitted to the UN General Assembly as the 2005 Report on the World Social Situation). 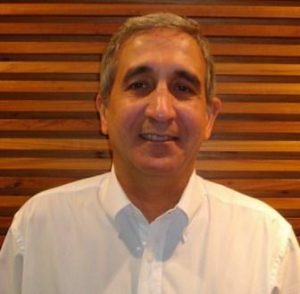 Roberto served on the IfE Board of Advisors from its inception in 2011 until his appointment to the IfE Board of Directors in 2014. 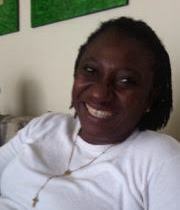 Priscilla Mbarumun Achakpa-Abaagu (Nigeria) is Executive Director of Women Environmental Programme (WEP), a non-governmental, non-profit voluntary organization whose major aim is to address the gender injustices relating to environment, economic and social rights of women, children and youths in the society. She received a Masters Degree in Development Studies from Benue State University, where she is currently doing a PhD. She has worked in various organizations, including Savannah Bank (Head of Operations), and Catholic Ecclesiastical Province of Abuja – Office of Health and Justice Development and Peace Commission (Executive Secretary). As Executive Director of WEP, she is currently the operational head of the organization, supervising a team of over fifteen full-time staff members, interns, and volunteers. Ms. Achakpa is an Ashoka Fellow, and holds many positions at the national and international level, including Organizing Partner for the Women Major Group at the UN; Regional Focal Point for CSO West Africa Global Environment Facility; member of the Women and Gender Constituency at the UNFCCC; Coordinating Committee member of the Global Women Climate Justice Campaign towards CoP21; National Coordinator of the Water Supply and Sanitation Collaborative Council; and partner to Women Environment and Development Organization, Women in Europe for a Common Future, Women for Water, Women Thrive Worldwide, African Working Group on Gender and Climate Change, African Women Water and Sanitation Network; and Chair, Civil Society Advisory Group to UN WOMEN, Nigeria. Priscilla has received many awards at the national and international level in recognition of her perseverance on environmental justice for women and youths. She is passionate about women and youth issues, the marginalized, homeless and internally displaced persons, and those heavily impacted by weather variations resulting from climate change, and she works towards gender climate just solutions. Priscilla also has a beautiful daughter, Anne-Marie Torkwase Abaagu. She looks forward to your support in actualizing her dreams of uplifting the poor and the most vulnerable groups. She can be reached through info@wepnigeria.net or Priscilla.achakpa@wepnigeria.net. David Berry was born in Ottawa Canada, began school in Arlington, Virginia, and returned to Canada where he served as an economist in the Ministry now called Resources Canada. After immigrating to the United States, he was a principal in a company that built computers in the 1970s that automated buildings to save energy. He had the strange idea that computers would play a big role in our future. David co-founded the Sustainable Water Resources Roundtable, a federal advisory committee subgroup, where government agencies, corporations, universities and NGO’s work on sustainability of water resources including topics of available supply, water quality, infrastructure and habitat. While at the White House Council on Environmental Quality for seven years during the Clinton Administration, he chaired Groups on Sustainable Development and Industrial Ecology in response to recommendations of the President’s Council on Sustainable Development. The groups under his leadership, raised awareness of environmental, social and economic trends, and encouraged creative action by organizations and individuals. David has spoken and undertaken projects in Europe, Asia, Africa and the Americas. He leads workshops and retreats in the US, Mexico, Canada, and gave seven talks in Russia in 2013 to a range of groups including the Academy of Science, business people in Moscow, the Science Forum of the former closed city of Chernogolovka, and a spiritual centre. He is a member of the Balaton Group, a global network on systems and sustainability. David was President and Chair of the Dharma Centre of Canada, one of the oldest meditation centres in North America. He continues to support and teach at that centre and others, knowing a practice of calming and awakening deepens and enhances the experience of all other aspects of peoples’ lives and encourages empathy for others. Hawa Nibi Amenga-Etego is the Executive Director of the Foundation for Grassroots Initiatives in Africa (GrassRootsAfrica), a not for profit NGO based in Ghana that provides capacity building research and advocacy in support of grassroots organizations. She works with women and gender-based organizations at the community level through capacity building and sensitization. She also works at the national level to influence policy through collaboration with other like-minded CSOs and networks. Her passion for development work was borne out of the fact that she hails from one of the poorest regions (Northern region) and districts (Bunkpurugu District) in Ghana where she has seen and experienced various forms of inequalities from social to geographic inequalities. She joined GrassRootsAfrica in 2006 and has since worked in various capacities towards achieving equal development, environmental and gender justice for the communities she works with. She has over 13 years of experience in Development work, Grassroots mobilizations, Gender and Women’s Rights, Public Expenditure/Budget Tracking and Advocacy, Training and Capacity Building, Water and Sanitation, Environment and Sustainable Development. 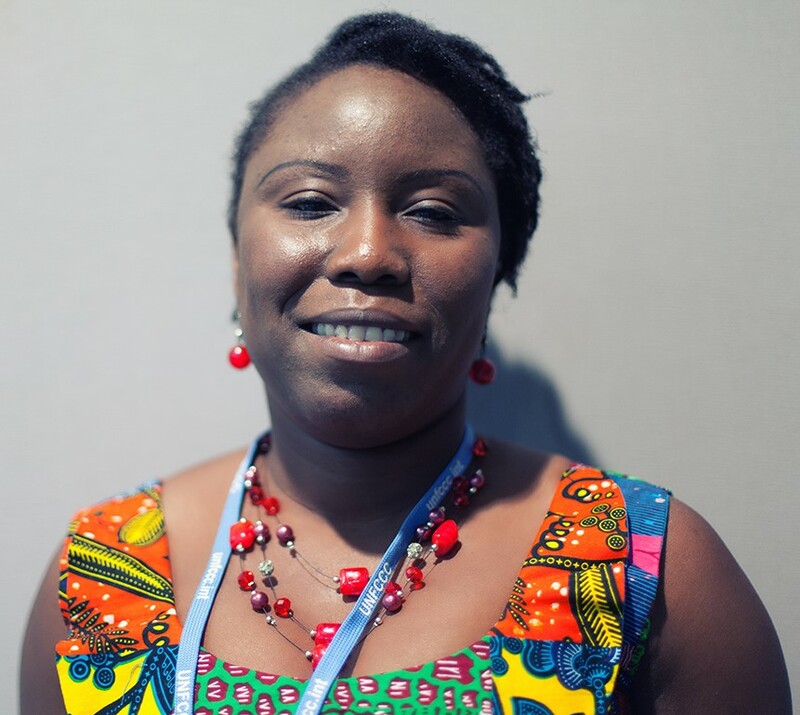 She is an expert trainer of the women2030 Coalition, with experience training trainers on Gender and SDGs, Water and Sanitation Advocacy and Policy Influencing in Ghana and across the sub-region. She is an activist with experience working with diverse groups and networks. She is a member of the Pan-African Fight Inequality Alliance Coordinating Committee, a member of the Green Climate Fund Africa Gender Monitoring Group, a Coordinating member of the Ghana CSO Alliance on Clean Energy Access (ACCESS-Ghana), a member of the Women and Gender Constituency of the United Nations Framework Convention on Climate Change (UNFCCC) and a member of the Women’s Major group and Africa Women’s Major Group of the United Nations. She holds a Bachelor of Arts Honours Degree in History and Sociology from the University of Cape Coast and a Master of Arts Degree in Development Studies, specializing in Environment and Sustainable Development from the International Institute of Social Studies of the Erasmus University of Rotterdam. Soren Ambrose comes from Chicago, and has degrees from New York University and the University of Chicago. He has been an activist for global economic justice since 1994. His analyses of the international financial institutions (IFIs) and the global economy have been published and quoted extensively in U.S. and international media, and he was profiled in the Financial Times – unfortunately, on Sept. 11, 2001. Soren’s interest in economic justice developed during his graduate studies on Nigerian literature and politics at the University of Chicago. He joined the Chicago chapter of the 50 Years Is Enough campaign, a coalition established for the 50th anniversary of the IMF and World Bank, shortly after its founding in 1994, and moved to Washington in 1995 to work with it. During his time in Washington, he also worked with the Institute for Policy Studies, Nicaragua Network, and the Alliance for Global Justice, which he co-founded. He left the US in 2005 to move to Kenya, where he co-founded Solidarity Africa Network and Daughters of Mumbi Global Resource Center with his partner, Njoki Njehu. In 2007 he became Africa Program Coordinator at the Bank Information Center (BIC), a watchdog on the international financial institutions. He joined ActionAid International in 2009 to work on development finance, and is now its International Head of Policy, Advocacy, and Research, based in Nairobi. In his various roles, Soren has visited over 60 countries and seen many kinds of systemic problems – plus a few successes.